Some Companies and Self Proclaimed Experts say that a Brand of PEMF has Electrosmog or that PEMF in general is electrosmog. We'll expose these untruths, beginning with the worst offender, QRS and Dr True Ott. NOTE: QRS was behind putting this together so obviously a BIASED TEST. In a nutshell, QRS came out clean (of course) and iMRS and BEMER tested for electrosmog. Were these tests accurate? Were they Scientific? There is ONE SENTENCE IN THESE VIDEOS THAT SHOULD HAVE YOU IMMEDIATELY DISMISS EVERYTHING HE SAYS. HE COMMENTED THE FIELD FROM THE IMRS 2000 WAS GETTING STRONGER WITH DISTANCE WHICH IS IMPOSSIBLE. BEYOND BAD SCIENCE!!! Neither QRS, BEMER OR IMRS 2000 has Electrosmog.. All his videos are Unscientific and Bogus and I will show you why! First off, the Video below is a REAL test of the iMRS (BEMER COMING SOON). If you carefully watch HIS video and compare to the one I did above you will hear on his a LOT OF STATIC and background Electrosmog. 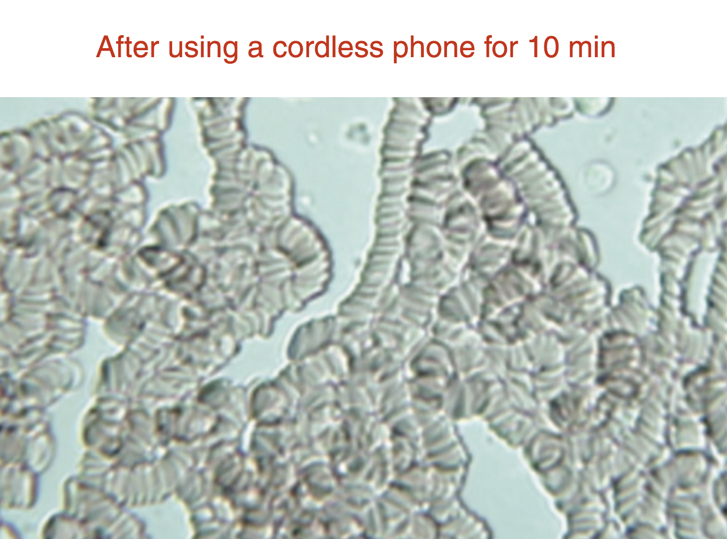 This could come from iphones, camera's wifi, smart meters or many other sources. Also Notice in his videos the the numbers are varying wildly. This is a typical response to smartphones the shoot data in bursts. Clearly there was something else going on in the room. Also cell phone towers can have peak burst of intensity that vary from time of day. So if he lived close to a cell tower that also throws the whole thing off. Now, DURING MY TEST IN THE VIDEO ABOVE, I live out in Nature, I have opted OUT of smart meters, I do NOT use Wifi and have no cordless phones plus I do not live anywhere near a cell tower which I checked on antennasearch.com. Plus during my test I put the phone in airplane mode which shuts out the 4G signal. There was only a small reading from my phone. I tested the iMRS today using the SAME HF 35C meter Dr True Ott used. I put a Trifield meter next to it so you could see the mat was ON. TOTALLY different readings because my house has NO ELECTROSMOG "background noise". Factoring in the small amount of background noise, I got readings of 0-.3 on the HF 35C which is VERY VERY LOW!! And I put the iMRS 2000 on the HIGHEST INTENSITY SETTING. There are SO MANY things wrong with Dr True Ott's Video and so much terrible physics and science it would take me a long scrolling page to comment on what he says line by line. But here is the bottom line.... Low Frequency and Low intensity PEMF devices like the iMRS 2000, BEMER and QRS plus others CANNOT HAVE ELECTROSMOG! Electrosmog is MHz - Ghz Frequencies and non of these devices use those kind of frequencies. The WORST offending PEMF devices for Electrosmog are the lightning chamber/ringer/ high intensity PEMF systems that have BOTH high frequency and high intensity. ​Dr True Ott's Video is a sham, and a disgraceful disservice to the PEMF industry. If he has any moral sense at all he will tell QRS to remove these videos at once. They are SO EASILY proven false that there cannot be any reason to leave LIES and MISINFORMATION on Youtube that confuses and deceives people to profit QRS. And YES, the QRS like the iMRS 2000 and BEMER is ELECTROSMOG FREE/CLEAN - PROVE BELOW. THEY ARE ALL ESMOG FREE!! It’s actually fitting that harmful EMFs or electrosmog is sometimes referred to as “dirty electricity”. Dirty in the sense that your body’s harmonious energy field becomes discordant and scrambled. If you spend a lot of time around computers, cell phones and electrical devices, notice how your body becomes tense, agitated, nervous and your head begins to feel uneasy. Basically your body is energetically getting “dirty” with all the unnaturally high microwave and radio frequencies. Your brainwaves become agitated and raised to high beta or even gamma brainwaves (above 30Hz). Just like you take a bath to clean yourself of dirt and waste buildup on your skin (and do so every day), you need to take an electromagnetic bath at least once or twice a day by either getting outdoors and walking barefoot, swimming in the lake or ocean, gardening, etc. Also, use an earth-based PEMF device daily. 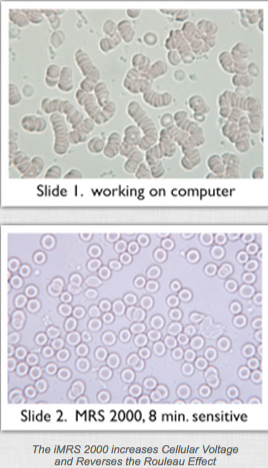 Let’s again show the before and after slides of live blood microscopy we introduced in chapter 6. 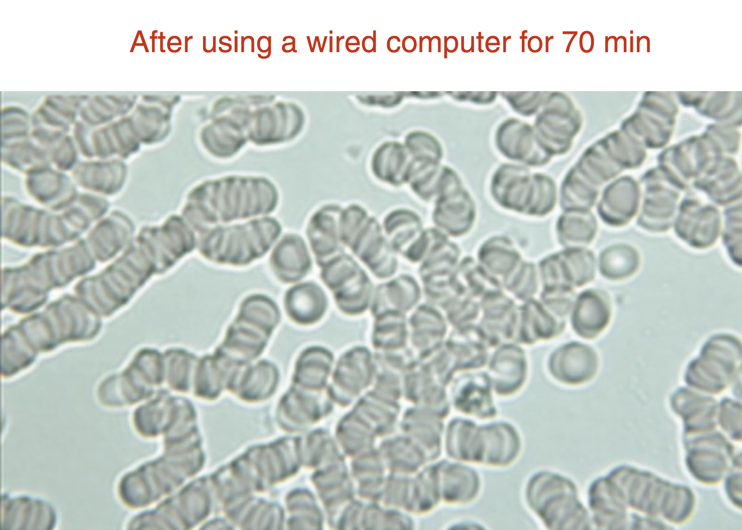 Consider slide 1 in figure 27, which shows how your blood responds to dirty electricity or electrosmog (in this case a computer). It clumps together, loses its charge and cannot bind to oxygen as effectively. Furthermore, the clumping makes it difficult for the red blood cells to pass into the capillaries where nutrients and oxygen are released. 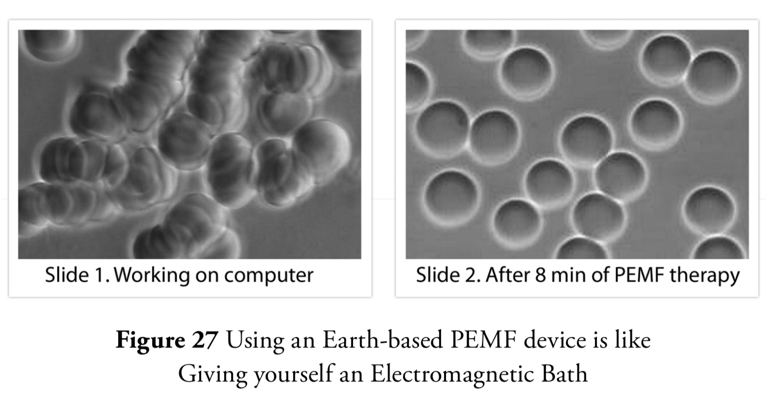 Using an earth-based PEMF device is like taking an electromagnetic bath. It resets the body and brain BACK to the natural earth frequencies and cleanses discordant and static electrical buildup. In slide 2, after just 8 minutes on a PEMF device that uses frequencies similar to the earth; the blood becomes cleansed of discordant energies, energized, oxygenated and returned to a healthy status. Most therapeutic PEMF systems produce frequencies in the Extremely Low Frequency (ELF) to Very Low Frequency (VLF) range of the electromagnetic spectrum. These frequencies (below 10,000 Hz or 10 kHz) do not induce damaging heating actions in cells or tissues. PEMF devices like the iMRS 2000 also contain various levels of filtering inside the control unit or frequency generator portion of the system, which clean up the surges/spikes, mentioned above, that often come out of the household outlets we use to power the device itself. CONCLUSION: Low Frequency and Low Intensity PEMF like used with the IMRS 2000, BEMER and QRS is the ANTIDOTE for Electrosmog. They are absolutely NOT a cause and because they use ELF and VLF frequencies. Electrosmog frequencies are in the MHz and GHz Range MANY orders of magnitude HIGHER!! Personal Note: I use the iMRS 2000 daily and I feel after being on the computer for long periods, that is "washes" away all the static electricity and discordant energies from the computer. It makes NO SENSE WHATSOEVER that the iMRS (or BEMER) would or could in any way create electrosmog. Another indication is the warmth and relaxation I feel and I hear from literally thousands of people. Electrosmog is NEVER RELAXING!! Life is supported by the Earth’s magnetic frequency field. We are always bathed in this invisible frequency field. The Earth frequency varies within a narrow range with 7.83 Hz considered the base frequency which is known as the Schumann frequency named after the man who discovered it. Vibrations are expressed as frequencies. Frequency, measured in Hertz (Hz) is an indication of the number of times an object vibrates in one second, or a measurement of cycles per second. For example the power that operates our household appliances comes to us at a frequency of 60 Hz in North America. In Europe it is delivered at 50 Hz. That means the electrical flow vibrates at a rate of 50 or 60 cycles per second. Evidence has accumulated indicating the speed of vibrations that powers our household appliances at 50 or 60 Hz can have an unhealthy effect on us. And with the plethora of electronic devices in our world, we are bombarded with frequencies that don’t support the health of our body cells. For this reason, it can be important to have the tools to expose our body cells to healthy frequencies. Get rid of cordless phones - use wired or corded phones in your house. Minimize cell phone usage, maintaining airport mode whenever possible. Get a cellphone stand so you do not have to touch it and use SPEAKERPHONE. Try to minimize texting. Minimize using iPADS as they require Wifi, and really really are touch focused. Plus if you are honest with yourself, it is probably a time waster anyway. Do your work on an ethernet connected computer. Turn Wi-Fi off and and use an Ethernet cable which directly plugs in to your computer. incandescent (full spectrum if possible). Minimize bright/blue light at night. distance from them (hairdryers, microwaves, plasma TV, etc.). Do not use cordless baby monitors, there are safer “on demand” or corded alternatives. Avoid waterbeds, electric blankets, electric heating pads and alarm clocks. Try NOT to live near cell phone towers or high voltage power lines. (Do not live in a home within 100 m of transmission lines or within 400 m of cell phone antennas). keep alarm clock radios (includes your cellphone) at least 2 meters from bed. Measure dirty electricity in your home & install filters if values are above 50 GS units. Invest in an earth-based PEMF device and spend time outdoors BAREFOOT and grounded. PEMF and Earthing along with Proactive Steps are the solutions to minimizing electrosmog and reversing its adverse effects. In Sweden, impairments are viewed from the point of view of the environment. No human being is in itself impaired, there are instead shortcomings in the environment that causes the impairment. Thus it is the environment that should be treated, not the person. Clean up environment, health improves. PEMFS ARE HAZARDOUS OR DANGEROUS. - FALSE!! People sometimes lump therapeutic PEMFs with environmental EMFs. PEMFs have a long history of use, over 70 years or more, by millions of people. Even very high intensity PEMFs, such as MRIs and more recently FDA approved high intensity PEMFs applied across the brain, have been shown to be extraordinarily safe. 1 of the concerns about PEMFs is that they may cause cancer. PEMFS HAVE THE SAME RISK AS ENVIRONMENTAL EMFS. - FALSE!! There is still considerable debate about what the risks of environmental EMFs are. Environmental EMFs, produced by cell phone, microwaves, Wi-Fi and dirty electricity are a very different kind of PEMF. Most of these are not known to nature and are not specifically designed for therapeutic purposes. Therapeutic PEMFs are very low frequency under 1000 Hz. The frequencies in the microwave range, which is what most environmental frequencies are today, are absorbed by the body and create heating and inflammation. These are considered to be the reasons that environmental EMFs have the risk of harm but not therapeutic PEMFs. To give perspective, therapeutic PEMFs have been studied in hundreds of thousands of individuals across thousands of studies, with almost all studies concluding that there are no significant side effects or risks of harm. If people follow appropriate application and consideration of precautions and contraindications, the risk of harm is dramatically outweighed by the potential benefits. Therapeutic ELF PEMFs pose almost no harm to the body as has been shown with use over five decades and by millions of people. Most of these ELF PEMFs tend to be in frequency ranges to which the body is more naturally exposed, either from within or without. Other external or environmental EMFs tend to be of significantly higher frequencies, typically unknown in nature to the degree to which humans are currently being exposed. These exposures are almost continuous and, most importantly, are absorbed by the body creating unpredictable and possibly unacceptable changes to tissues. Therapeutic ELF PEMFs, because of their much longer wavelengths, pass completely through the body, energizing cells, helping to rebalance and restore body functions and health. Daily use of whole body healthy PEMFs can help significantly to offset the negative effects of undesirable environmental magnetic fields. Also Want to Reply to Jack Kruse who tries to SELL STATIC MAGNETICS (like Magnetico) and speaks unscientifically against PEMF. I like some of Jack's information and agree with him on blue light, circadian rhythms , sunlight therapy, but his views on Diet and PEMF are not correct in my opinion. Especially PEMF. The Eastern European studies back in early 80's found very conclusively PEMF worked BETTER AND FASTER than static magnets. Not to say static magnetics don't work, they just don't work nearly as well. 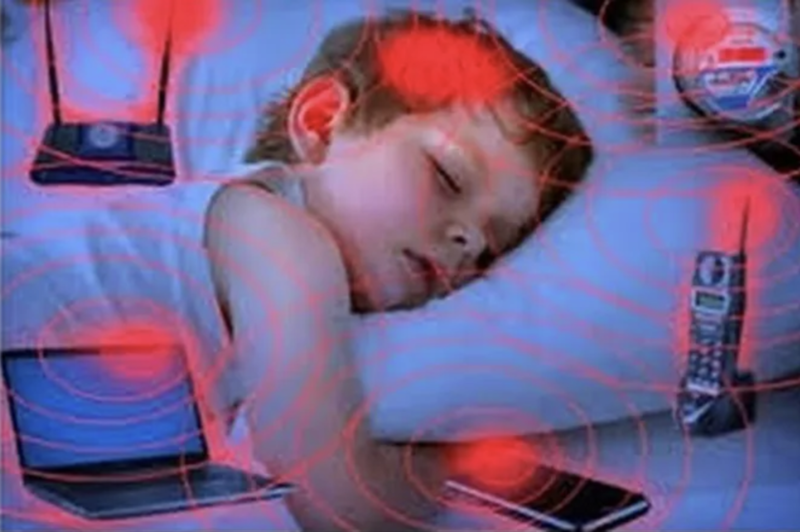 Basically he puts PEMF devices in the category of non-native EMF or electrosmog, which MIGHT be true with the higher frequency and high intensities devices but CERTAINLY IS NOT TRUE about low frequency and low intensity. Also there may be other Experts talking against PEMF so I will try to find all that out. In general, it is the opposite, PEMF is one of the safest and MOST effective forms of energy medicine. Especially low frequency and low intensity.